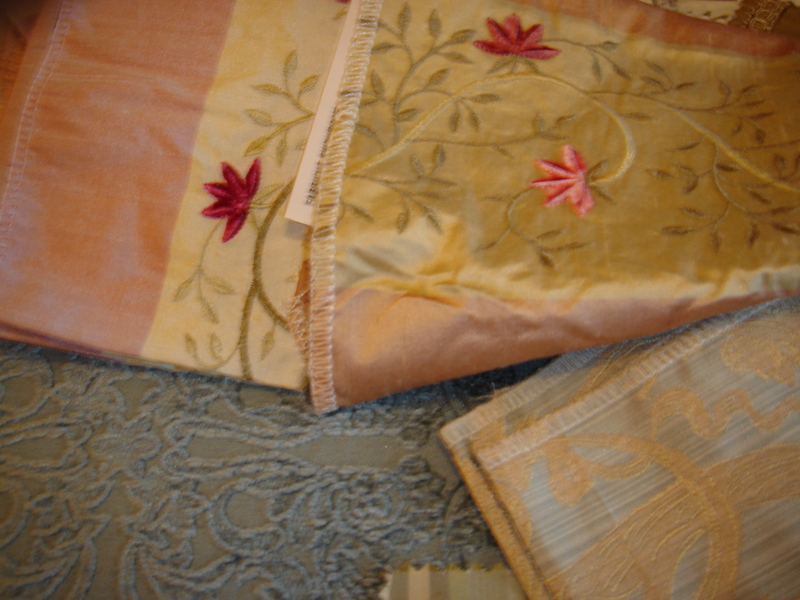 I found so many beautiful fabrics for the Paris Boudoir that it is overwhelming. I decided that money was no object and so selected every fabric that made my heart beat! 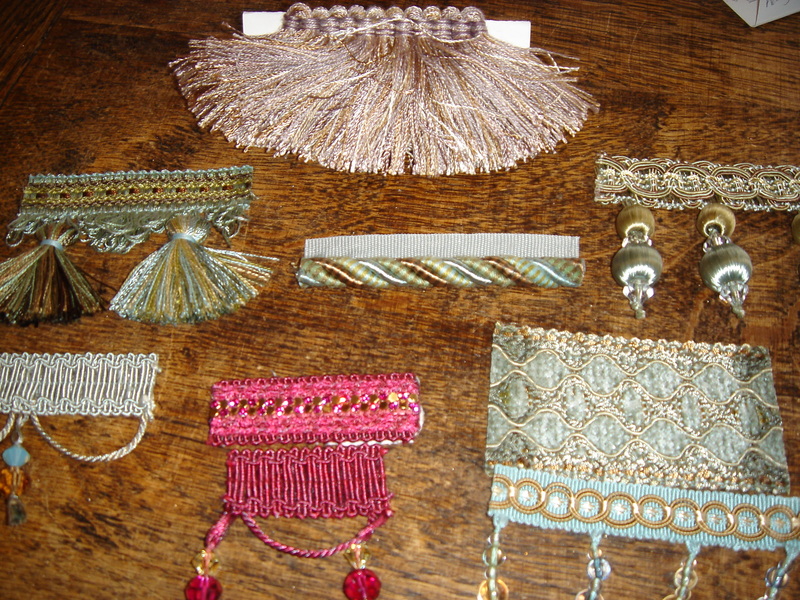 Most are silks…and the trims are just amazing. I find that photographing fabrics never does them justice….but i tried…some of these fabrics will comprise the bedding, draperies, swags, skirts and pillows. Here’s some trims laid out on my antique danish oak desk. Some of these beauties will make it into the final mix! Each day is one closer to the grand opening! This entry was posted in Uncategorized and tagged bedcover, bedskirts, decorative throw pillows, drapery trims, fabrics, paris boudoir, photography, store opening plan, window treatments. Bookmark the permalink.